Stigan Blog What Is Crawl Budget & Why Does It Matter To My SEO? Search Engine Optimization is all about making your site more appealing to internet browsers who are looking for the most relevant results according to the specific vocabulary they use in their query. For example, if you run a website that helps people find local concert listings and upcoming shows, you would feature keywords like “local concerts” and the names of local venues in the content of your website. That way a person who searches for “upcoming local concerts” on Google will be able to see your site ranked higher in their search results. SEO is a proven method of making your page more visible to people searching for specific things on a search engine by essentially matching relevant words, but how do you make your pages more visible to the actual search bots that create the rankings in the first place? This is where a crawl budget comes into play. So what is crawl budget? And why is it so important? Today we find out once and for all. To understand crawl budget, you have to know what Crawl Rate Limit & Crawl Demand is. Crawl rate limit is to make sure Googlebot is not slowing down your website while crawling, which would then provide your users a poor experience while on your site. Crawl Demand is how much Google wants to crawl your site. This is based on how popular your site is and how stale the content on your site is in it’s index. Now why is this important? Most SEO Companies in Vancouver will tell you it’s not that important, unless you have a huge site. If you have a site with less than 1000 pages, you should have plenty of crawl budget. But we have seen sites that have a lot of broken links, blank useless pages or pages with duplicate content, along with tons of pics. Those sites are usually very messy, when the client comes to us, they think it’s great because it’s more “real estate” on the web. This is actually not good for your site as things like this can eat up your crawl budget, by making Googlebot go down dead ends and useless pages, it has less time to crawl the pages you do want it to index. Web crawlers work by finding links to your website that show its content. These links are created using your .htaccess, so it is important to make sure that any content you want found can be accessible through these links. On the other side of this, if you want to prevent a page from being crawled, you will need to manually ensure that your incoming links don’t connect crawlers to pages that you have “disallowed” using noindex meta tags. In the past, Googlebots could not read rich media files such as video links and similar files. This is no longer the case when it comes to Google, which can be a good thing, since a lot of sites rely on rich media content to draw in users. Unfortunately, Googlebot is the only crawler that can read these files, which means other search engines still can’t find your rich media content. If you want a page to be ranked, it is a good idea not to feature too much rich content on that particular page. You can also provide text versions of some pages that rely on rich media files like Flash and Silverlight if you still want them to be ranked. This tip not only applies to optimizing your crawler budget, but also to the basic user friendliness of your overall site. Keep your redirects to a minimum (no more than two in a row), and do your best to ensure that none of those redirects are attached to broken links. This not only gives the Googlebot and other crawlers easier access to all of your content, making your search rankings more accurate, it also gives your site users the ability to browse your site in its entirety. You can think of these fixes not just in terms of SEO and crawler budget, but also just as simple site maintenance. While we are on the topic of site maintenance, it is a good opportunity to discuss the importance of cleaning your site map. The sitemap makes it far easier for spider bots to find the content that you want them to find, as long as it remains free of clutter such as blocked pages, unnecessary redirects, etc. There are a number of online tools you can use yourself to clean the sitemap, or you can simply make it a priority for whoever manages your site. Building external links to other sites actually does a lot to help your website’s standing in the online community in terms of accessibility for users and bots alike. It is important to make sure your site’s internal link structure keeps things easily discoverable so as not to waste your crawl budget while also improving user experience. By ensuring that you are making the most of your crawl budget, or how bots find relevant content on your site when they happen to visit, you will be doing a lot to boost the effectiveness of your site’s SEO strategy. 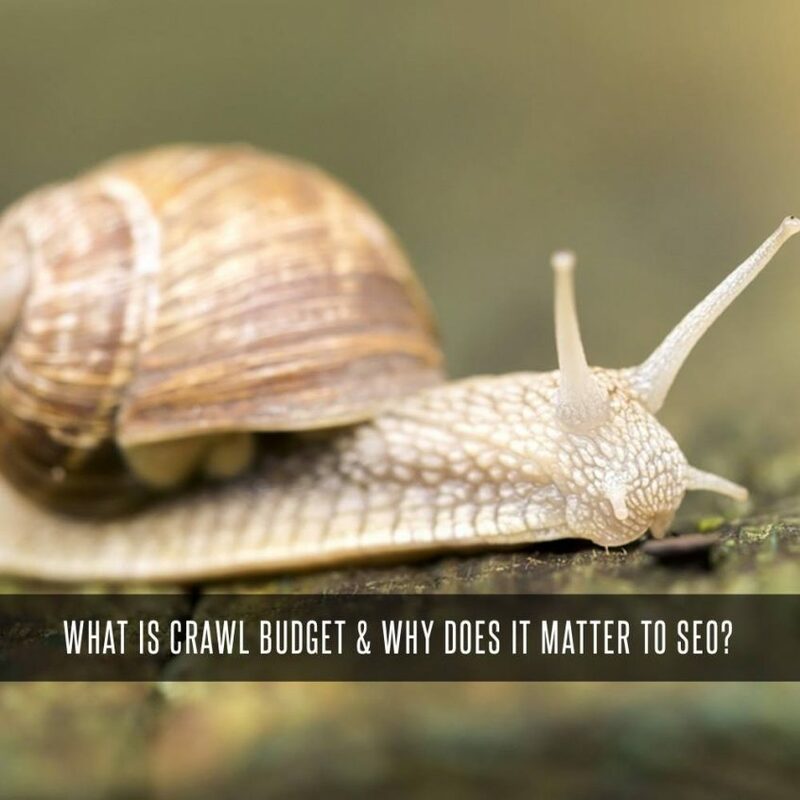 For more information and tips on how you can get the most out of your crawl budget, be sure to contact our SEO Vancouver consultants the digital marketing and web design experts at Stigan Media for a free consultation today!